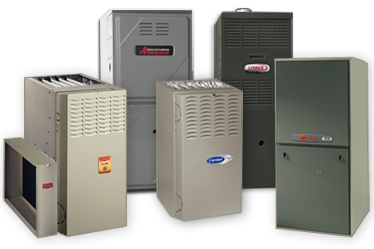 If you’re looking for a good boiler replacement services company in NJ, give us a call today at All Done Boiler Replacement Service and we will provide you the best price for any model and make. There are all kinds of great advantages to replacing your old boiler, especially if it’s more than a decade old. Aging boilers have lost most of their original energy efficiency, require frequent repairs, and often cost more in the long term than the cost of a new boiler plus the installation service for it. Replacing your boiler when it shows signs of its age can both save money, and prevent you from dealing with a lack of heat when it inevitably breaks down completely. When you need reliable professional boiler service in New Jersey, give us a call at All Done HVAC for 24-hour water boiler repair, new boiler installation, boiler replacement, and more. The combination of low energy efficiency– meaning your boiler requires more energy to create heat, and is more costly to run– with frequent repair costs presents major long-term expenses that can be avoided by investing in boiler replacement instead. The latest boiler models are more energy-efficient and economical than previous generations of boilers, and can greatly reduce your energy bills while providing a reliable source of heat for years to come. In some cases, you may need to weight the benefits of boiler repair, versus boiler replacement. In many cases, an older boiler may technically be able to be repaired with a replacement part or other boiler repair services. However, it may actually be more economical to opt for boiler replacement instead. Paying for boilers repairs can become costly over time, especially with an aging boiler that breaks down frequently. Boiler installation involves paying for the professional installation, and the cost of the boiler itself, but will save you an impressive amount of money in the long run. You’ll save money on repairs and heating costs over the next ten years, so new boiler installation will essentially pay for itself. At All Done boiler services, we’ll only recommend boiler replacement service if your boiler is old enough, and worn out enough, that it will actually be the most cost-effective choice for you. To find out more about NJ boiler replacement, emergency boiler repair, and more, give us a call today at All Done boiler services, at 201-540-0977.